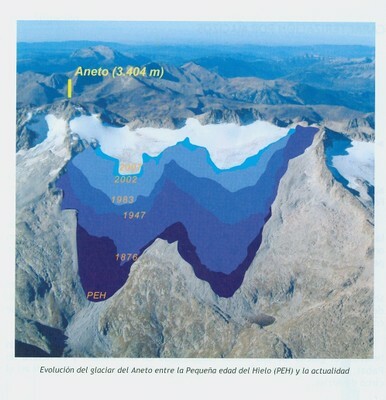 Aneto Glacier in the Pyrenees of Spain is listed as its largest glacier in a 1984 inventory. 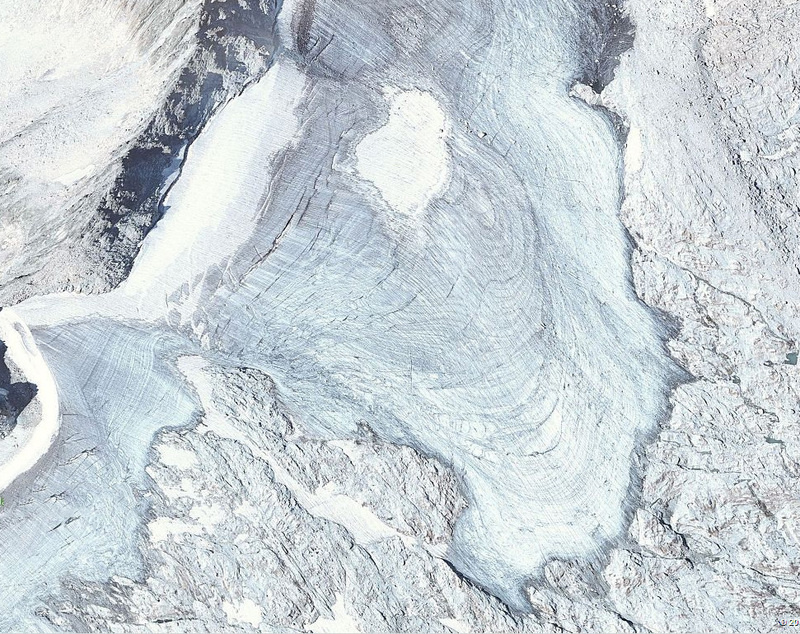 In 1984 the glacier had an area of 1.32 square kilometers and a length of 1.6 km (Serrat and Ventura, 2005). The glacier is located on the northeast side of Aneto Peak. The glacier is just a few kilometers from the rapidly retreating Maladeta Glacier. 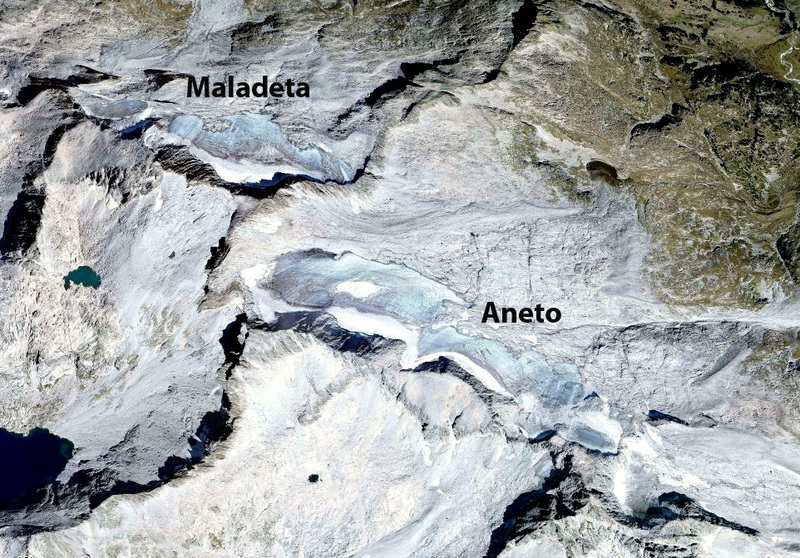 SOER (2010) indicate that more than 80% of the glacier area on the Maladeta-Aneto Massif was lost between 1984 and 2007. 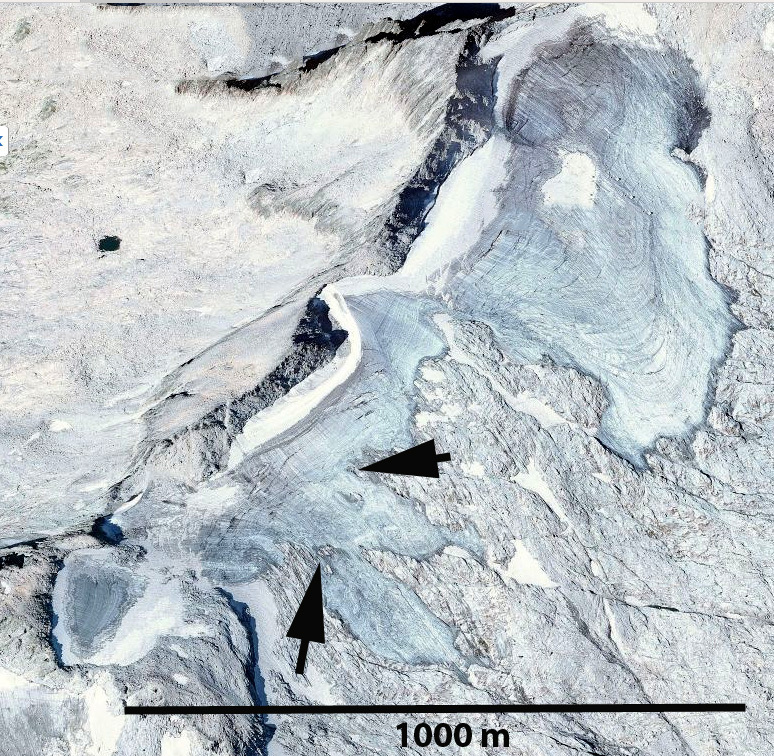 Arrows indicate rock outcrops amidst the glacier. 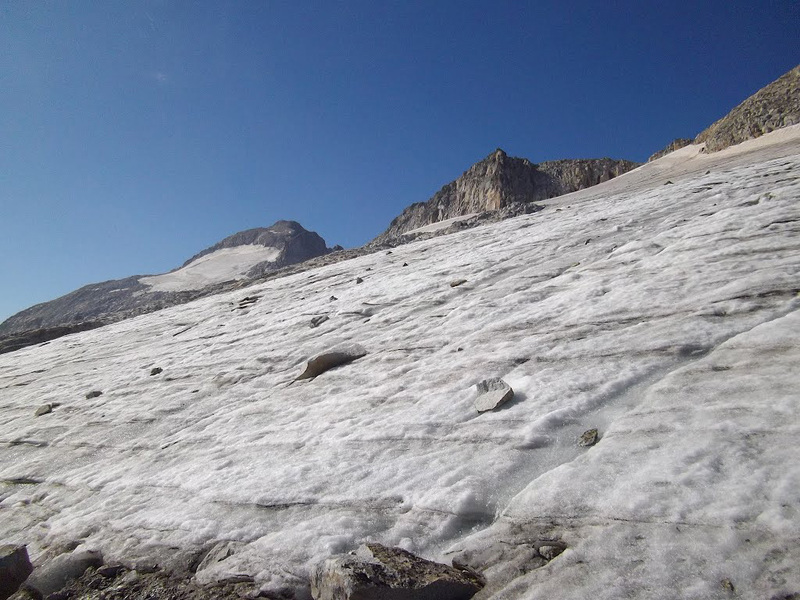 This entry was posted in Glacier Observations and tagged Aneto Glacier melt, pyrenees glacier retreat, Spain glacier melt, Spain glacier retreat. Bookmark the permalink. Hello Mauri, just did some quick “Google research”, another 5 – 10 years, the Aneto Glacier is history I am afraid. I have not seen what the glacier looks like in 2013, however, I do not think it will be that soon. 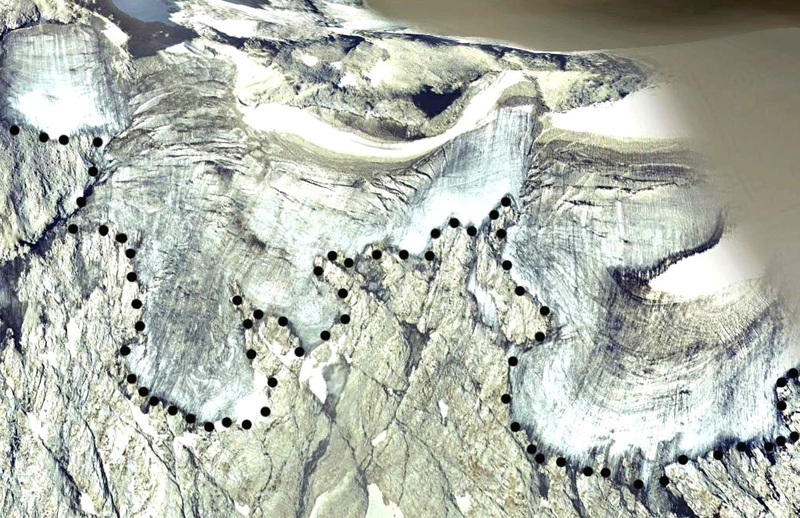 There are two areas where the glacier is still 600 m long, and likely over 50 m thick in both. There will not be that much volume left to qualify it to be real glacier, movement etc.? that boulders move but the lakes do not. How can this be ? Post this in Zachariae Post, and I will look this weekend. Unfortunately it says comments are closed on the Zachariae entry. i think the answer may be that the lakes reform in the same place year after year. Could the depressions they form in be a feature of the flow like stationary ripples in a stream ?